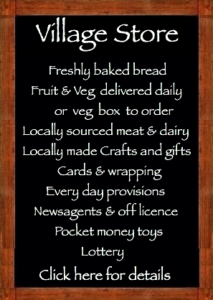 We are pleased to be able to offer the Post Office local service in our village shop. The Post Office counter is open Monday – Saturday. Parcel force 24 and 48 hour service. Euro’s on demand and all other foreign currencies available next day if you pop in and order before 1pm. All currency transactions are commission free and we will buy back what you don’t use. * You will need a main Post Office for services such as car tax, passport applications and processing of international parcels over 2kg in weight, your nearest branch is Southam.